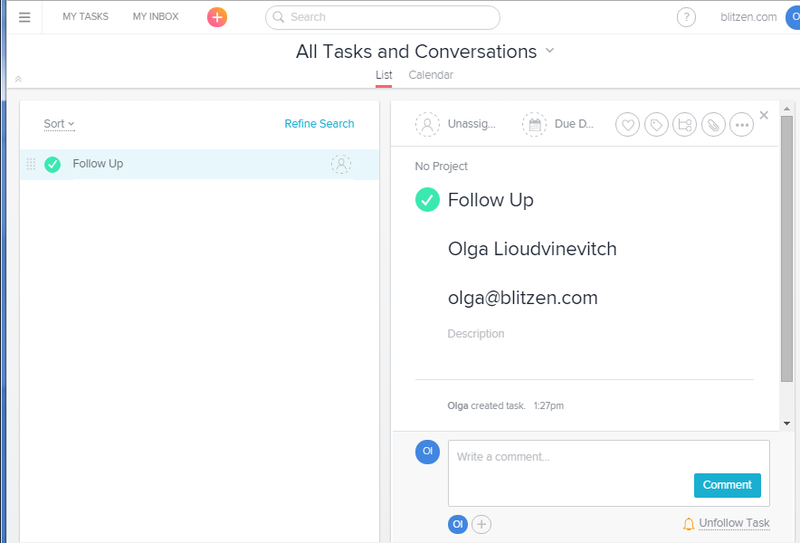 The Asana integration allows you to create a new Asana Task from a Blitzen form entry. Note that you have to have an Asana account to use this integration. Navigate to the ‘Integrations’ section in the left-side panel and click on the ‘Asana’ app. Drag the Asana App over into your workflow. This is called an output. You can configure the app by clicking the ‘+’ icon. You will then be asked to choose the destination your data to. For the moment, the only thing you can do with Asana is create a new task. To do this, scroll down to where it says 'Create Task' and give it a good title. In our example we call it 'Follow Up'. Then use the mapping fields on the left side to input the information you wish to send to Asana. 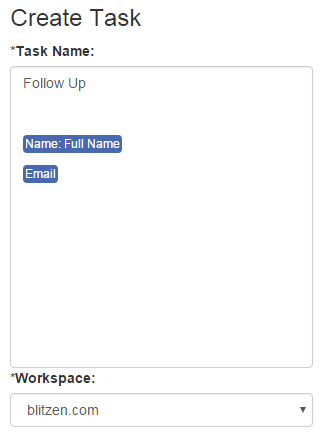 In our example, we want the ' Full Name' and 'Email' fields.